Talia Lavin resigned as a New Yorker magazine fact-checker last June after her tweet about a disabled veteran's tattoo falsely implied he's a Nazi. Nevertheless New York University has hired Lavin as an adjunct journalism professor, TheWrap reported. Lavin is scheduled to teach an undergraduate course, titled, "Reporting on the Far Right," this fall at NYU's Arthur L. Carter Journalism Institute, the outlet said. Lavin's faculty bio says she's a "writer and researcher focused on far-right extremism and social justice." The NYU bio doesn't mention her stint with the New Yorker — nor does it mention she was hired a month later by liberal group Media Matters for America to focus on "far right extremism," TheWrap reported, adding that a Media Matters spokesperson said Lavin no longer works there. What did a student have to say? "I sympathize with Lavin's politics, but I don't know why someone who had to quit their journalism job for falsely implying someone is a Nazi should be teaching at NYU," one journalism student at the school — who requested anonymity for fear of academic reprisal — told the outlet. "I know there are plenty of reporters out there in need of work who haven't made a mistake like that." What did Lavin and NYU have to say? TheWrap said Lavin declined to comment — and that NYU reps, the school's journalism department, and university President Andrew Hamilton didn't respond to requests for comment. 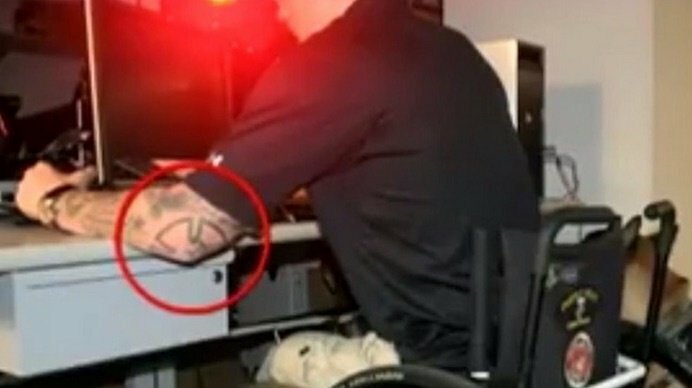 A week prior to Lavin's resignation from the New Yorker last year, she tweeted that Justin Gaertner — a former Marine who's disabled and now an agent for Immigration and Customs Enforcement — had a Nazi Iron Cross tattoo on his left elbow. ICE said Lavin "essentially labeled him a Nazi," the Tampa Bay Times reported, and described Gaertner's tattoo as a Titan 2 — a symbol of his platoon. Gaertner — who's wheelchair-bound — lost both legs in a 2011 improvised explosive device detonation in Afghanistan, the Times noted. "This has been a wild and difficult week," Lavin later tweeted, the paper reported. "I owe ICE agent Justin Gaertner a sincere apology for spreading [a] rumor about his tattoo. However, I do not think it is acceptable for a federal agency to target a private citizen for a good faith, hastily rectified error." In her resignation message, Lavin tweeted that she "had become a weapon used to discredit my colleagues and the vital work they do holding power to account," the paper said. However, she also said ICE was dishonest about her role in the dust-up, the Times said. "ICE also lied about me, saying I originated the scrutiny of Gaertner's tattoo," Lavin said in a tweet, the paper reported, adding that Lavin also claimed ICE targeted her because of the New Yorker's criticism of the federal agency. "I wasn't the genesis of this rumor; there are tweets still up with tens of thousands of likes explicitly calling the tattoo 'Nazi,'" Lavin said in a message to the Times.